Marine Atlantic has cancelled so many ferry crossings since November, businesses that rely on the service are losing money. Marine Atlantic has cancelled so many Gulf of St. Lawrence ferry crossings since November, businesses that rely on the service to ship freight are losing a lot of money. High winds and winter storms on Newfoundland's west coast and in the Maritimes have forced the company to skip 130 crossings in the last four months. CBC surveyed the businesses in Gander through the chamber of commerce, asking if they've been affected by the cancellations, and, if so, how much the delays are costing them. Darrell Pike, manager of the Gander Co-op, says several factors are contributing to losses adding up to $10,000 every week. "One is lost sales," he said. "The second one is quality, because if you've got product that's sitting on a truck for two days across the gulf, by the time it gets in here, the quality is starting to deteriorate. "And the third thing is your labour. If you have people scheduled for a truck, then all of a sudden it's delayed, you have to reschedule them for later in the day or the next day and that ends up costing you extra labour. " He says last week he had to throw out a whole shipment of strawberries because they spoiled on the truck. Barry Warren, president of shipping company Dooley's Trucking, says the cancellations have increased their costs. "It's thrown us for a tailspin," he said. "This time of year our operational costs are higher because of the weather anyway. But we're committed to daily runs to certain areas, whether it be to Twillingate, down around the Gambo loop, Baie Verte Peninsula, whatever. "And we have to go regardless of whether we have a full truckload or just two or three skids. So when the freight doesn't show up, then we're running at a loss." When the boats finally run, said Warren, they're playing catchup. "The expectation is we need this freight right away, so then you're sending extra equipment and at the end of the day you're losing your shirt in the process." Warren says his company has lost $200,000 since November. Other business owners say their losses are in the thousands. Some can't estimate how much they've lost because they don't know how many customers aren't bothering to come in when items aren't available. They're also dealing with angry customers who are waiting weeks longer than promised for their purchases to arrive, and a company that installs office furniture says it's having scheduling problems because orders aren't arriving on time and they're missing appointments. Some businesses have decided to switch transportation methods, moving some goods by air, at a higher cost. Warren says he's decided to go with private shipper Oceanex, which is also more expensive, but he believes is also more reliable. He'd like to see Marine Atlantic operate in a more business-friendly way. 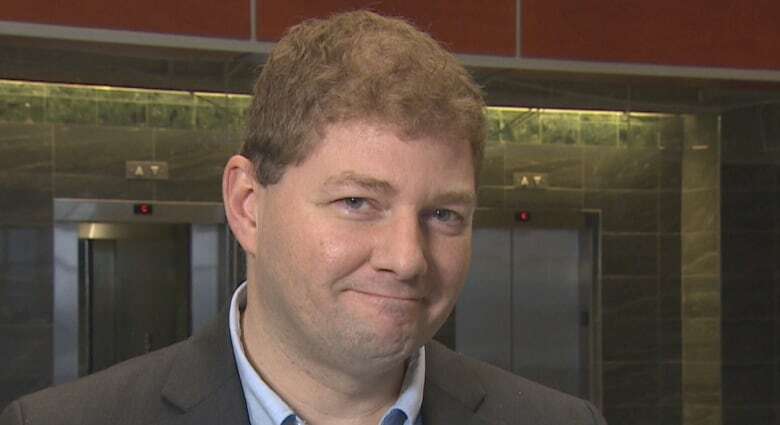 "Marine Atlantic will make decisions to cancel a ferry 24 or 36 hours out, when they have a window of opportunity right at that time when they make that decision to make a couple of runs," he said. "To me, it's load and go. The Constitution says it's their responsibility to run that ferry". Warren said he understands safety is a concern. "But there are many times when they should have run, but because they have a set schedule, there's no flexibility on that." Marine Atlantic spokesperson Darrell Mercer says they do sometimes shift their schedule around to get ahead of weather, but because the service carries passengers as well as freight, it's not feasible for them to do it all the time. It takes six to seven hours for the crossing and another five to unload and reload, so there's not a lot of time to play with the schedule, said Mercer. He added they put on an extra vessel to deal with backlogs, but that's the best they can do. Winter weather making for tough travels by land or sea in N.L.